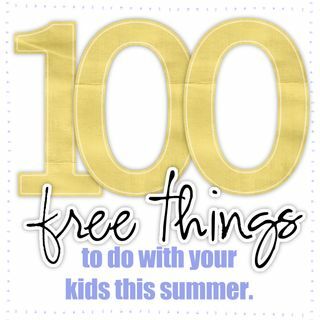 Digital Reflections has a list of 100 Free Things you can do with your kids this summer. Fun activities like building forts and making homemade ice cream. Take an "Alphabet tour"... again camera(s) in hand, journals - letter guides for younger kids - drive to town/city - begin with the letter a (Apple street) b (building) c (colosseum) d(dairy queen) e(eatery) you get the drift - when you are done - each child has a personal and creative alphabet memory book. I will be going through the entire list with my kids and adding some of them to our Summer To Do List that we make every year. What is on your Summer to do list? We made lists last summer and it was really fun! I look forward to having 100 ideas to look through! Lisa, we started it a couple years ago too. The kids LOVE feeling like they get to plan their summer!